Is it time you graduated from serving just quince paste with your cheese? 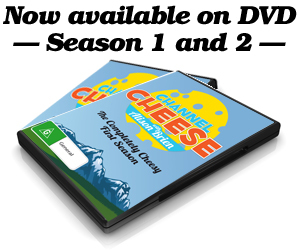 Have you ever wanted to know how to take your cheese platters to the next level? The adventurous cheese-lover will be richly rewarded by experimenting with new and different accompaniments for cheese – there are some amazing flavour combinations out there just waiting to be discovered. Casellula restaurant in New York City is known for its cutting edge cheese plates. We sit down with in-house fromager Dimitri Saad to get the low down on creating amazing flavour combinations – pineapple and pink peppercorn salsa anyone? They also have an awesome wine-list and the wait-staff are very friendly and incredibly knowledgable. On my second visit to Casellula (not in the vid unfortunately), Dimitri served me Taleggio accompanied by a pickled quail egg – amazeballs.